A new study shows that microplastics are affecting the ability of mussels to attach themselves to their surroundings – potentially having a devastating impact on ocean ecosystems as well as a worldwide industry worth between 3-4 billion US dollars per year. The new research, published in the journal Environmental Pollution, was led by Dr Dannielle Green of Anglia Ruskin University, and was carried out at the Portaferry Marine Laboratory in Northern Ireland. And in order to understand potential effects of microplastics on the health of the mussels, the researchers measured the proteins within the mussel’s circulatory fluid or haemolymph, which performs a similar function to blood. This showed that microplastics induced a strong immune response and also affected the mussels’ metabolism. 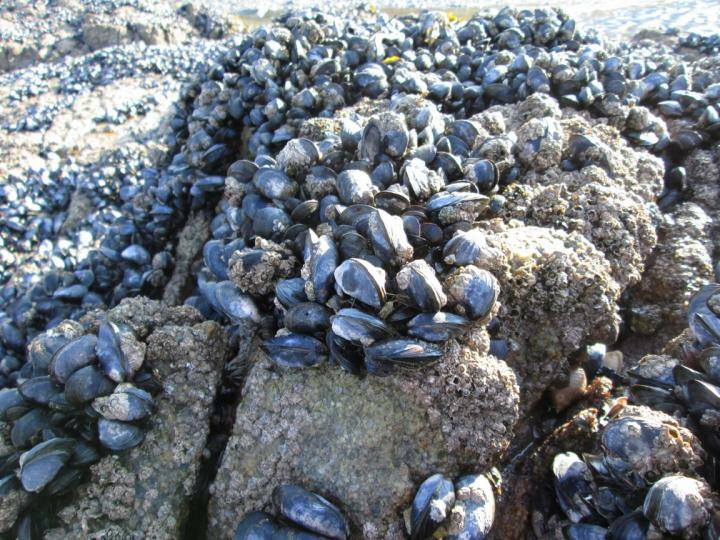 Dr Green, a Senior Lecturer in Biology at Anglia Ruskin University, said: “Tenacity is vital for mussels to form and maintain reefs without being dislodged by hydrodynamic forces. Our study showed that the presence of non-biodegradable microplastics reduced the number of byssal threads produced by the mussels, which likely accounts for the 50% reduction in their attachment strength. “Byssal threads help mussels to form aggregations, increasing fertilisation success and making mussels more resistant to predation. A reduction in these byssal threads in the wild could lead to cascading impacts on biodiversity as well as reducing yields from aquaculture, as mussels are more likely to be washed away by waves or strong tides.